Is There Really Such A Thing As Free Food? Everyone likes to go out to eat once in a while even the frugal minded budget wielding fanatics like us. We don’t have any kids to get pulled in by marketing gimmicks so we tap into any other discounts we can get. Even a good coupon goes a long way for a once a year meal out on the town so don’t be afraid to save yourself a few dollars if you can. It’s really the kids that are what I call the cash cow for some of these establishments as well as the booze on their slow nights of the week. Some parents have a hard time saying no to their kids when they want something and of course anyone who can make money from the crying child or the child that ‘wants’ they will be in there faster than you can shake a stick. Some may say that eating out and childhood obesity go hand in hand but that’s not always the case. I believe that we must learn the word “moderation” and be mindful of it when we put food in our mouth. I do know that eating healthy meals coupled with exercise is a great way to keep fit and healthy at the same time. Eating out should be a treat once in a while not every single night of the week. Teach your children to cook at home and invite them to add ingredients to recipes, stir the bowl and create meals together with the family so the eating out suggestion might become less and less of a reward. I don’t have the full list of what restaurants your kids can eat at for free in Canada but if you head over to My Kids Eat Free Canada website and type in where you live a list of restaurants in your area will pop up. The populated list will then tell you where you can haul your kids in your city to scoop up a free meal, but the buck doesn’t stop there. One meal freebie that caught my eye was where kids eat free on Sunday’s at Crabby Joe’s for kids 12 years and under as long as there is one adult per child who orders an entrée. That means if you have more than one child and are a single parent or a dual parent family you might have to invite grandma and grandpa to dinner. What that means is the dinner gets even more expensive because in order to save you are now paying out-of-pocket for your guests. Plus, don’t forget about the tip! Is it really worth it? How much can a kid actually eat? or Is it more just to get out of the house and out of the kitchen night after night, week after week? How much do you spend on eating out in your budget? Everything always has a catch, remember that. You may not see the catch, it could be hidden but it’s true, nothing in life is free. Unless of course it’s at the grocery store and they have the scanning code of practice. Now that’s about as free as we have gotten or by using a free product coupon but even still there is still marketing behind the coupon. You could always complain about your meal if you don’t like it but I’m always scared to know what happens when I send my meal back to the kitchen. In fact watching some of those behind the scenes restaurant videos on the television really did put me off eating out for the longest time. I mean, who wouldn’t when you see a cook or server spit in your meal because you return it. Ewe. It happens, we don’t always see it but not every restaurant has a bad apple there are some amazing restaurants out there. That’s just another good reason to cook at home because you are the one in charge of the cooking and handling process. Most kids menus boast grilled cheese, french fries, soup, hamburgers, chicken nuggets, fish sticks all convenience type foods where you can create a healthier version at home for a fraction of the cost. What ends up happening is the money for that free kids mini meal is being funded by the adult meals being purchased and that is the power of marketing. Oh! Did you want a beverage with your dinner? That coke will cost you $3.00 but cost them pennies. You just bought your kids meal! It reminds of when we go grocery shopping and look at our weekly flyers to see who has the best prices on products we want and will save us money in our grocery budget. It’s not the specials on the front and back cover that make the store the money as they are the loss leaders, it’s all the other stuff you buy that you never intended to in the first place that gives grocery chains the money power they have. Marketing at it’s best, playing to the sale when the sale is only the pitch to be able to keep you away from the competitors. Fast food marketing strategies like the free meals or even discount coupons for birthdays or through direct mail are all ways to get the customer in the door. Marketers will target the children because that’s their job and they know that some parents have a hard time saying no and they are the money makers for these establishments. East Side Mario’s has the new Mini Mario Club for kids which is just another way to lure parents into the restaurant by hooking the child to the establishment through their website with cartoons, promotions and news (like the kids care, or maybe they do). Our own Canadian Budget Binder writer Katrina uses the East Side Mario’s club card to snag a deal and says birthday’s are a great time to use it. If you opt out of the traditional at home birthday party this savings option might work best for you especially if going out to eat is the only other birthday meal option. Is it worth enrolling in these kids clubs? Sure maybe once in a while the promotions may save you some cash if they offer coupons or discounts from meals but if you are utilizing these promotions every month that can take a chunk of money out of your budget. Now you not only have to pay for your kids to eat a discounted meal you have to fund the adult meals as well. I think it boils down to what you have in the budget to spend and how often you want to go out to eat. We already know from previous blog posts that eating out costs more money than cooking a meal at home so why the big lure for parents? Most parents that take advantage of these ploys simply don’t want to cook and would rather eat out, don’t know how to cook or want to surprise their kiddies with something special on a special day while saving a few bucks. The other reason may be that they want to make their kids happy so they give in every time the child “wants” something, such as eating out. This kind of behaviour can easily become another manipulation from the child or the picky eater who won’t eat anything but take-out food which then becomes less of a hassle for the parent and they get used to it. Who doesn’t like a birthday freebie? I would as long as it was mile high chocolate fudgy brownies dripping in fudge, whipped cream lol. Ah, who am I kidding I could be lured in with anything sweet. This is just another way for restaurants to get you into their establishment by offering your children a free meal on their birthday. My friends over at Grocery Alerts put together this handy 2013 Free Stuff on your birthday list for all of us Canadians to reference if you want something special on your special day. It does come only once a year after all. It’s different if you are an adult and a restaurant sends you a coupon for a free product or like Dairy Queen they send you a Buy One Get One Free Blizzard on your birthday but they still get you through the door and you are spending money to get the second one free. Other places offer free product and again if you are an adult you can go in and enjoy your free appetizer or dessert and then be on your way. If you are a kid that means you need to be accompanied by an adult to get your free meal which means the adult now has to spend money or watch you eat. I’m betting that 9 times out of 10 that the adult will pay for a meal or get an appetizer just to entertain the child on their birthday. 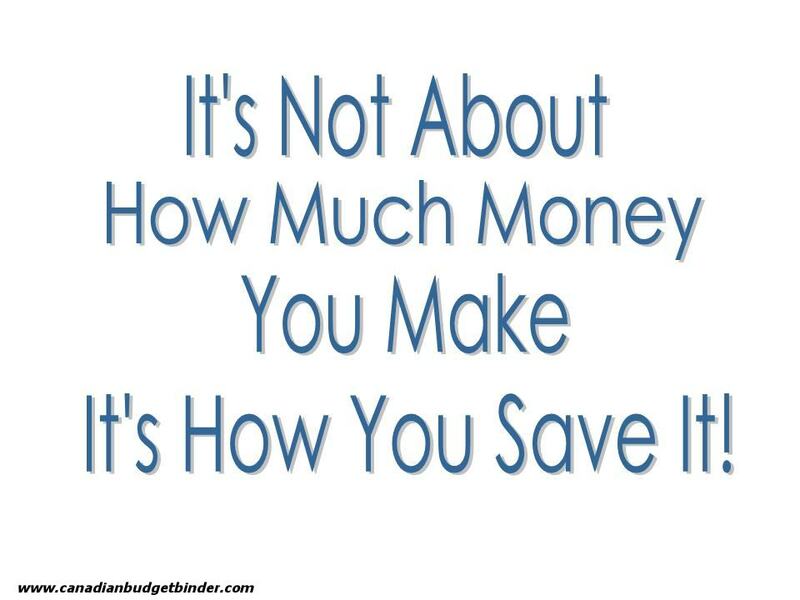 It will in the end cost you money in the budget because it will be more money than you anticipated spending in the first place. There is no reason why you can’t have a budget birthday at home by cooking a nice meal or inviting a few friends over and save yourself some cash, especially if you planned to treat the family out for a birthday meal. Sure, the birthday boy or girl will get a free meal but look at how much you will be paying for all your guests to eat out. Not for me at the age Adam is at. There’s no way we’d take him to a restaurant. He can’t sit still. Perhaps when he’s older we might. I’d be more likely to choose a place if I felt like I was getting some sort of deal like him eating free or some sort of coupon. We don’t eat out much though because it feels like a waste of money. I think it is probably a lure for those people who eat out often. It makes them feel like they’re saving money even though they’re not. In the end it’s up to you how often you go out for dinner and to decide whether you have the money in your eating out budget to fund these so-called Kids eat free meals but take caution the result could mean it will be costing you more money out-of-pocket than you may have expected. Eating out once in a while as a treat is a great way to get the family out of the house and to enjoy a bit of R & R from the kitchen but doing it every week could prove costly even if you think that the kids eating free is saving you a few bucks. 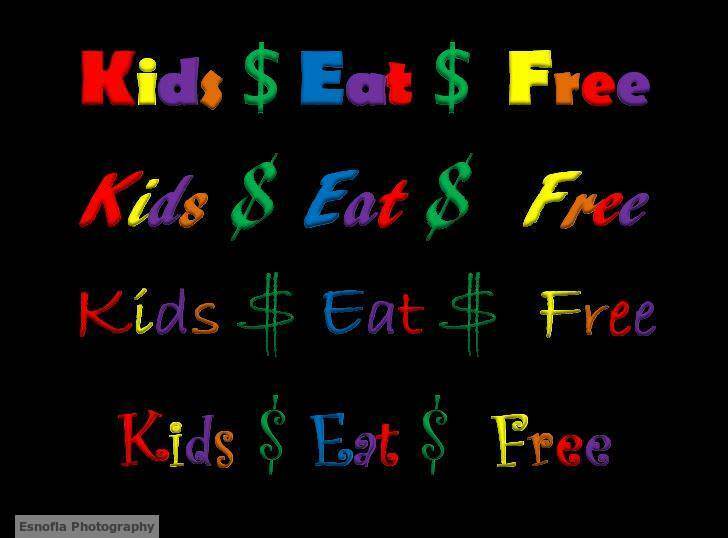 Do you take advantage of the kids eat free meals at restaurants? Why or why not? Last February we went to a resort and we availed a group package we stayed there for 2 nights and 3 days, the breakfast was included in the package but other meals are not. I remember when we had a dinner it was a buffet dinner and it cost $10 for one person. I asked the waitress if I need to pay for my 6 year old daughter? And then she told me that 8 year old and below was free. Like Jen and Frugal Rules mentioned taking the young ones out to eat can be misery! If they have been particularly angelic and we want to go out to eat we definitely choose a place that offers kids eat free (these establishments are usually “family-friendly” so if they get out of hand we are not getting too many dirty looks). For example I will say chilli’s does this. One free kids meal per adult meal. Perfect for us two parents, two kids. If we were paying for their meals it would cost around $5.99 for entree side and drink. So that is $12 that we are not paying…I am unable to drink soda and it makes hubby sick so we don’t buy it…the water is free. If we are thinking of continuing date night after the kids go to sleep we MAY get a dessert to share to watch a free movie (since they are usually monstrously sized!). So sometimes we are out $4.99, but that is not what we normally do. Still if we are going to have the once in a while meal out it helps to take advantage of these offers when they are there and budgeted for! I can’t recall ever taking advantage of a kid’s eat free deal. I think the only place that does that where we live is Denny’s and we never go there. If you were going anyway, and it was offered, I would certainly not turn down a free kids’ meal, but usually coupons are a much better deal. We definitely enjoy the occasional meal out as a family. But I really don’t pay much attention to the kids eat free, birthday clubs, etc or base eating at those restaurants because of those perks. As you said, often times “free” really isn’t free so I’d rather chose a restaurant we look because of good food, prices and service! We do eat most meals at home and the girls are starting to help me more in the kitchen, which, I agree, is so important. I want them to know how to cook nutritious meals at home, which is good for the health of their pocketbook and bodies! Filling a restaurant is an ongoing battle and I applaud any that can put more butts in their seats using coupons or promotions. We need to be savvy consumers and find deals that offer good value for our discretionary spending dollars while still making healthy food choices for our families. My sons are taller than I am and so there is not as many bargains for us so we choose to eat out at lunch instead of supper to save money and we always order water. Interesting article, certainly food for thought!!! Lol!Monday morning and the first cuppa…. It’s been quite a while since we went to a resteraunt. When the kids were much younger we did the odd time but for the most part we didn’t even do Mickey D’s. It was in Stratford where we lived when the first two kids were small but we didn’t go. Kids were fine with it, not that we gave them the choice, but you don’t miss what you have never had. I remember back then we went into a Chinese place in Stratford with them for the buffet. We told the woman serving us we wanted the buffet so she got the plates and just handed us small plates for the 2 kids and said, “OK, 2 adults, the children won’t eat much”. We were not charged for them and just gave them bits from our plates. This was fine with the resteraunt. This is a place that has been in business for decades in Stratford. It was around when I was a kid. It’s still there last I looked. That says something about the way they do business doesn’t it? These days, going out means a cup of steeped tea and a muffin or donut at Timmy’s while at the hospital waiting for our appointment. Our treat for the day. I get the coupons that places like MacDonalds mail out, but that’s a quick toss in the blue box. We won’t use them so we don’t even bring them home from the post office. The whole get something free on your birthday tends to pass me by as my birthday is a holiday so nobody is open. I got a coupon from a garden centre once in the fall before they closed down for the winter but it would have been a special trip to go there so I didn’t go. Such is life. Enjoy your time off, you need and deserve it………….